2100lx1200wx760h henderson table can be made in different sizes. 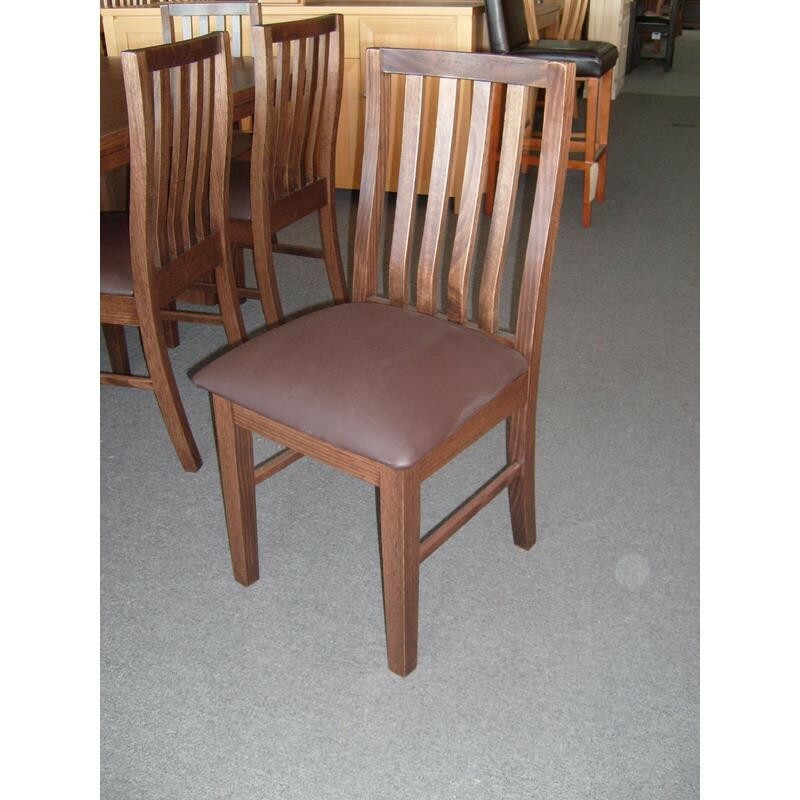 Chairs are mortice and tennon joins and comes with a timber seat as standard. Uphostery on chairs from $50 per chair. Price shown with upholstery included in price.Timber seats on setting deduct $400 from setting price. Made in Victoria from solid tassie oak. 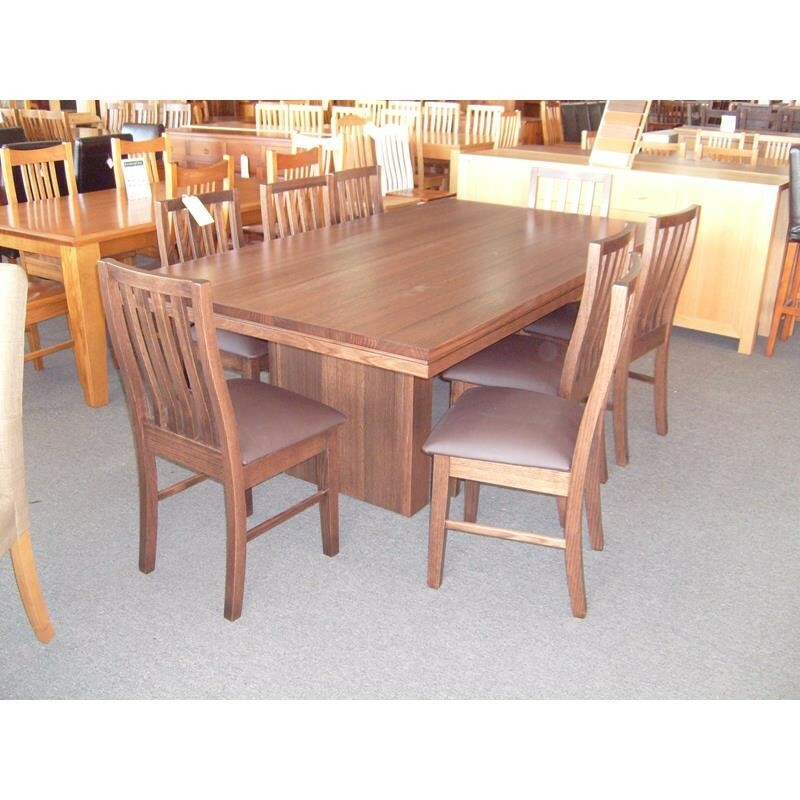 Table comes in different sizes and colours.